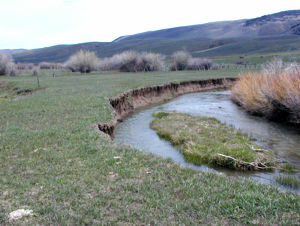 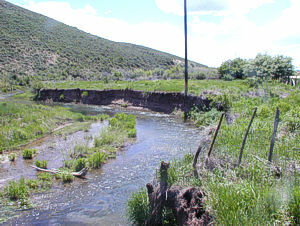 Thomas Fork Creek - The Bear Lake Regional Commission has been instrumental in implementing Best Management Practices (BMP’s) along Thomas Fork for the past eight years with great success. 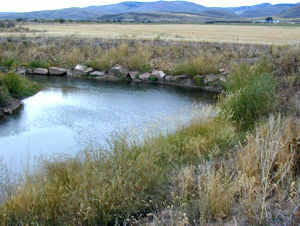 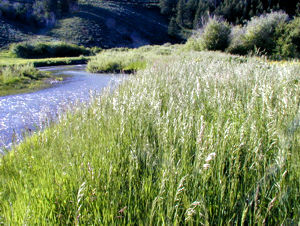 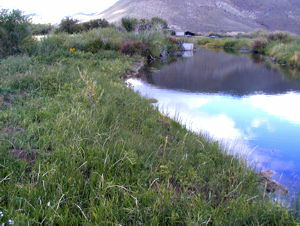 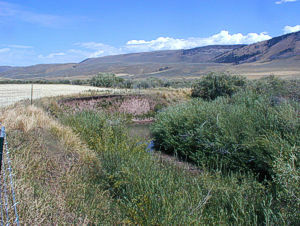 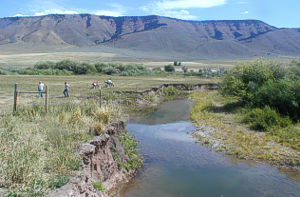 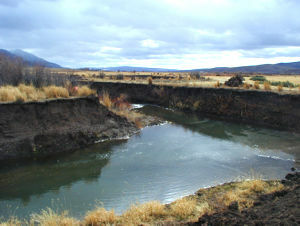 Located in the Geneva Valley of southeast Idaho, Thomas Fork Creek is a tributary of Bear River and Bear Lake which has been designated a “special resource” water by the Idaho Legislature. 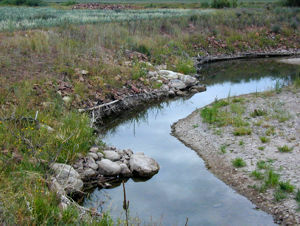 Cooperation with local landowners, Bear Lake County Soil and Water Conservation District and other agencies have resulted in over 15,000 linear feet of streambank along Thomas Fork Creek treated with proven BMP’s. 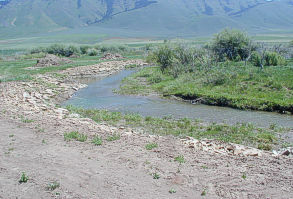 The regional commission has implemented about one project for the past eight years on property owned by different landowners along Thomas Fork Creek. 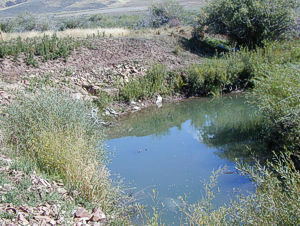 Selected treatments seek to reduce elevated concentrations of sediment and nutrients within the water column. 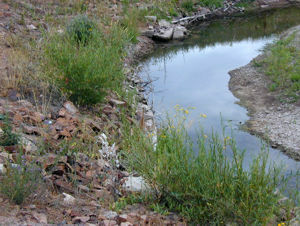 These BMP’s include: bank shaping, rip wrap, toe armor, willow planting and reseeding. 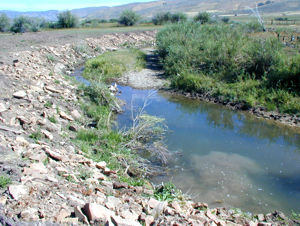 Long term monitoring suggests water quality has been greatly enhanced by BMP’s implemented. 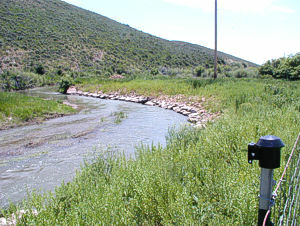 Photographs taken during and after project completions illustrate the effectiveness of BMP’s along Thomas Fork Creek.